Colorbond® Steel has become increasingly popular for roofs throughout Australia, particularly for property owners who are replacing outdated roofing systems. Manufactured by BlueScope Steel, Colorbond® roofing is based on Zincalume steel and features an aluminium and zinc coating that provides anti-corrosion benefits. The use of a polyester primer provides additional protection. As a result of its durability, Colorbond® has become a popular product of choice for both urban and rural areas in Australia. Given the many benefits offered by a Colorbond® roof, it is easy to see why so many people are making the transition to this roofing system. If you are considering installing a Colorbond® roof on your home or building, there are a few things to consider to ensure that you make the most informed choice. Is Colorbond® Roofing a Good Choice? In deciding whether Colorbond® roofing is the right choice for your property, it is important to consider what you are looking for in a roofing product. One of the reasons that Colorbond® has become so popular as a roofing product of choice is that it is fire resistant and imperious to rot and termite infestation. In addition, it is resistant to fading over the years, even in harsh climates. As a result, you can enjoy the benefit of low maintenance. If you live in an area where there is a concern regarding bushfire and you are looking for a product that provides peace of mind and low maintenance, Colorbond® could be a good choice. What Is the Best Colour and Finish? One of the most attractive benefits of Colorbond® to many property owners is the wide array of colours and finishes available. One of the most common mistakes that many people make when choosing a colour for their roof is focusing on their favourite colour. While this is certainly understandable, it is also important to ensure that the colour you select is in keeping with the design and character of your home or building. Fortunately, Colorbond® offers 22 designer colours available in both contemporary and classic hues. A range of rainwater products is also available from Colorbond® to match the colour of your roof, or you can choose products in contrasting colours. Is the Roofing Contractor Properly Licensed? Consider whether the roofing contractor has the proper certificates and license to complete the work. 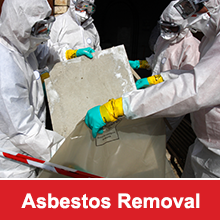 This will help to ensure not only that quality work is performed but also that you are fully protected. In addition, do not hesitate to ask for references regarding the contractor’s past work. In particular, you will want to understand how the roofing contractor communicates with clients and what you can expect when working with the contractor. It is also important to understand whether the contractor offers any type of warranty regarding the completed work. Using Colorbond® as a product of choice for your roof can help to ensure that your building or home is protected for many years to come while also providing an attractive look. 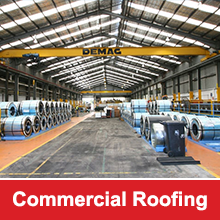 Find out more about Colorbond Steel and the roofing services that we offer.